As one of the important strategic materials, chromium has been widely used in metallurgical, refractory, and chemical industry. Ferrochrome is an important additive in the production of alloy steel. According to the carbon content, it is classified as high-carbon ferrochrome (carbon 4–8%), medium-carbon ferrochrome (0.5–4%), low-carbon ferrochrome (0.15–0.50%), micro-carbon ferrochrome (carbon 0.06%), and ultra-micro-carbon ferrochrome (less than 0.03%). But the most widely used one in metallurgical is the first three. 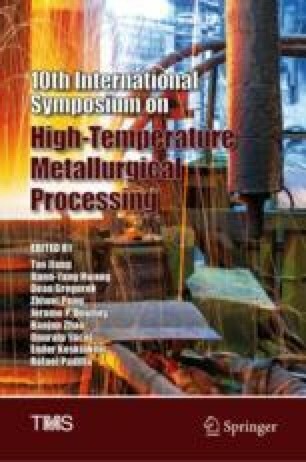 This article mainly summarizes the current development of domestic and international medium-low-carbon ferrochrome and summarizes the preparation methods and the influence factors in the smelting process including reduction temperature, reduction time, the reduction agent, and alkalinity. This research was financially supported by the National Natural Science Foundation of China (No.51504114) and Kunming University of Science and Technology Foundation for analysis and testing (No.2018M20172202034). This support is gratefully acknowledged. The authors are grateful to the reviewers for the discerning comments on this paper.